Dry eye is typically chronic and progressive, but it can also be transient or episodic. Dry eye is more frequently seen in females than males and is more common with increasing age. It is among the best examples of a multi-factorial disorder. In other words many different things can both cause or contribute to dry eye. Dry eye can be associated with systemic disorders such as rheumatoid arthritis, lupus, thyroid disease and Sjögren’s syndrome, which causes inflammation and drying of mucous membranes of the eyes and mouth. Hormonal changes can also cause dry eye, which sometimes occurs during pregnancy. 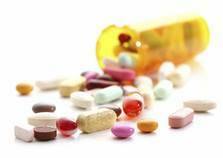 Medications can also cause dry eye. These include medications for allergy, hypertension, Parkinson’s syndrome, anxiety, depression and even birth control pills. Both systemic and topical medications can cause dry eye. Note that non-prescription medications like antihistamines can cause significant dry eye. Dry eye can also be situational or environmental. Patients living in arid areas like Kansas and high elevations like Denver are particularly prone to dry eye. However dry eye is common in areas where significant indoor-outdoor variations are common. This is true of tropical climates where people transit between hot high humidity outdoor conditions and cool and very dry air conditioned environments. Dry eye is also typically worsened by close work especially work that reduces blink rates or interferes with full eyelid closure. 1. Aging Eyes – As people age it is completely natural that the tears we produce have less oil in them. The aging population has specific dry eye related problems. 2. Environmental factors – Environmental factors like windy climates or desert like climates cause dry eyes. Additionally, the use of air conditioning can cause this as well. You may wake up in the morning after being near and air conditioner and experience this. 3. Meibomian gland dysfunction – Patients with this dysfunction typically present with symptoms of burning, irritation, dryness, and decreased contact lens wearing time. The diagnosis is made by inspection of the glands and their secretions. 4. Menopause in women – Females entering menopause are among the most prone to dry eye. 5. Work environment – Some work environments that are dusty and windy may be harmful to patients more likely to develop dry eye syndrome. 6. Medications – Antihistamines and decongestants may cause dry eyes but other medications can cause dry eye as well (These medications include, pain relievers, antihistamines, tranquilizers, oral contDry eye is typically chronic and progressive, but it can also be transient or episodic. Dry eye is more frequently seen in females than males and is more common with increasing age. raceptives, beta blockers, diuretics, and antidepressants). 7. Contact lens use – Wearing contact lenses can contribute to dry eye. Please consult your contact lens provider for specific questions about your particular type of contacts or schedule an appointment with our Dry Eye Center to discuss this issue. 8. Computer screen reading – Sitting in front of the computer for hours may cause you to blink less and also cause dry eyes. Many people are studying something called computer vision syndrome as well. 9. Certain diseases – There are diseases linked to chronic dry eye. Has your eye doctor ever discussed these with you before? The most popular disease linked to dry eye is Sjogren’s syndrome, but other diseases that impact dry eyes are keratoconjuntivitis, sicca, xerophthalmia, lupus erythematosus, Grave’s disease, diabetes, and scleroderma. 10. Vitamin A deficiency – This uncommon vitamin deficiency exists with chronic failure to eat sufficient amounts of vitamin A or beta-carotene. This results in levels of blood-serum vitamin A that are below a defined range. Beta-carotene is a form of pre-vitamin A, which is readily converted to vitamin A in the body. Night blindness is the first symptom of vitamin A deficiency. Prolonged and severe vitamin A deficiency can produce total and irreversible blindness. * Always consult your medical eye care provider for your specific questions or concerns regarding dry eye. Over the counter treatment options may not be the best solution. 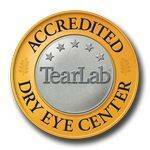 Our dry eye specialists can be contacted at 785-843-5665.